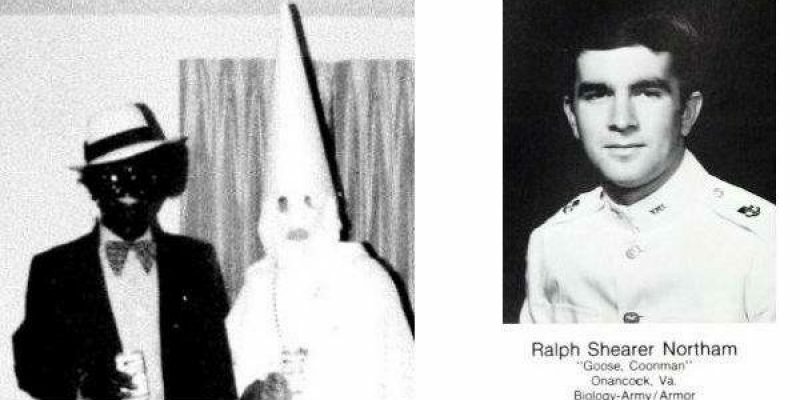 The first polling since the racist yearbook pictures of Virginia Governor Ralph Northam is out and it has some interesting findings. A poll taken by Morning Consult finds that although a majority of Virginians now disapprove of Northam, a majority of Virginia Democrats are sticking with him. Only 29% of Virginia voters approve of Northam. 48% of Virginia voters now disapprove of Northam. 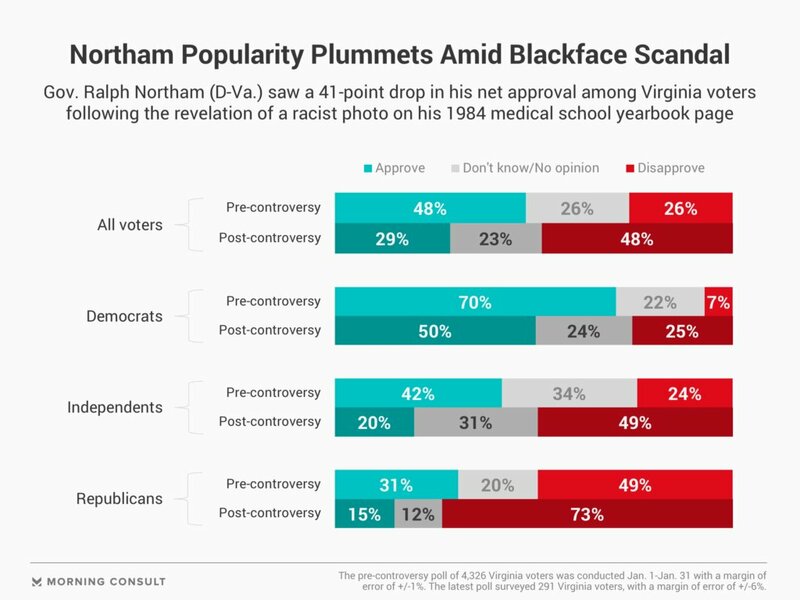 Before the controversy, Northam had 48% approval to 26% disapproval. The only group of voters that are still sticking with Northam is Virginia Democrats. They still approve of Northam 50%-25%. The shift was enough to move Northam from the top third of all U.S. governors in popularity — near Democrat Tim Walz of Minnesota or Eric Holcomb of Indiana — toward the bottom of the list, coming in around the 48th spot near Kentucky Republican Matt Bevin. Despite calls for his resignation from leading Virginia Democrats such as Sens. Mark Warner and Tim Kaine — both former governors — as well as Rep. Bobby Scott and former Gov. Terry McAuliffe, Northam has said he intends to remain in the job. He told reporters Saturday that it was not him in the photo, but admitted to darkening his face on another occasion to resemble the performer Michael Jackson during a 1984 dance competition. Northam, a former pediatric surgeon and Army doctor, was elected in 2017 with 54 percent of the vote, beating Republican lobbyist Ed Gillespie by 9 points and outperforming President Donald Trump’s 2016 vote share by roughly 10 points. In the latest survey, Trump outperformed Northam among Virginians, with 43 percent approving and 52 percent disapproving of his job performance. Why are Democrats sticking with Northam? Pure political tribalism. It is the same reason why they stuck with New Jersey Senator Bob Menendez and now Minnesota Attorney General Keith Ellison after their scandals. If the left didn’t have double standards, they wouldn’t have any standards at all. Previous Article So What’s John Bel Edwards’ Position On Ralph Northam?